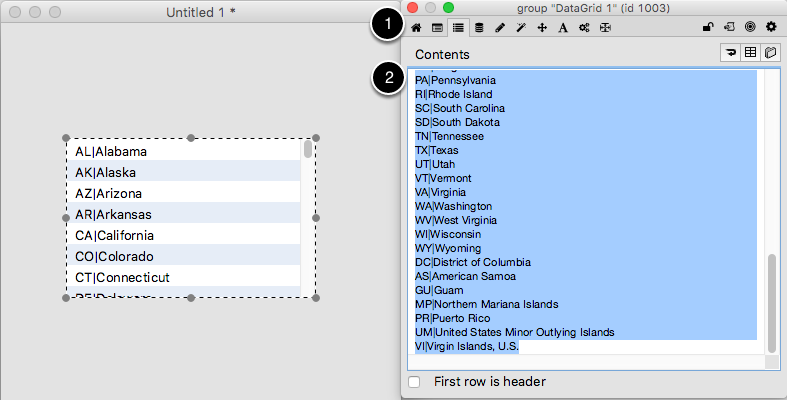 LiveCode LessonsData GridLiveCode Data Grid IntroductionHow Do I Create My First Data Grid Form? This lesson will show you how to create a bare bones data grid form. 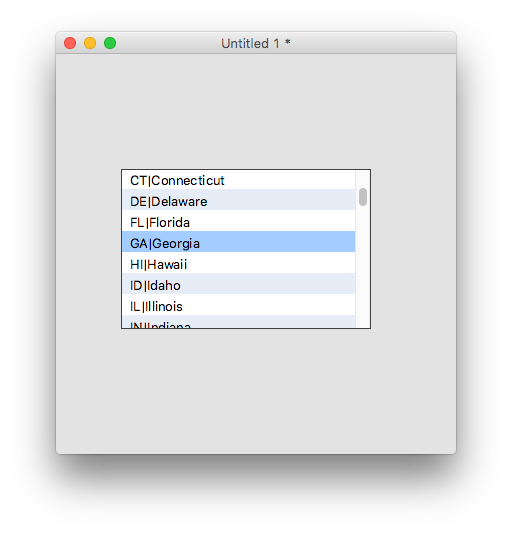 Data grid forms are useful when you need a less rigid layout than columns in a table provide. A data grid form gives you complete control over the look and feel of each record you display. Select the Data Grid and open the LiveCode property inspector, go to the second tab. Change the style to form. 1) Switch to the Contents pane of the property inspector. 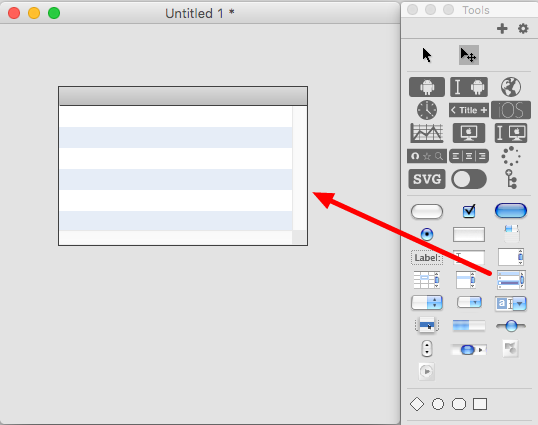 2) Type or paste some line delimited text into the field. That's it! The data you entered in the field will appear in the data grid. Now you are ready to customize the look and feel of your records by modifying the row template. 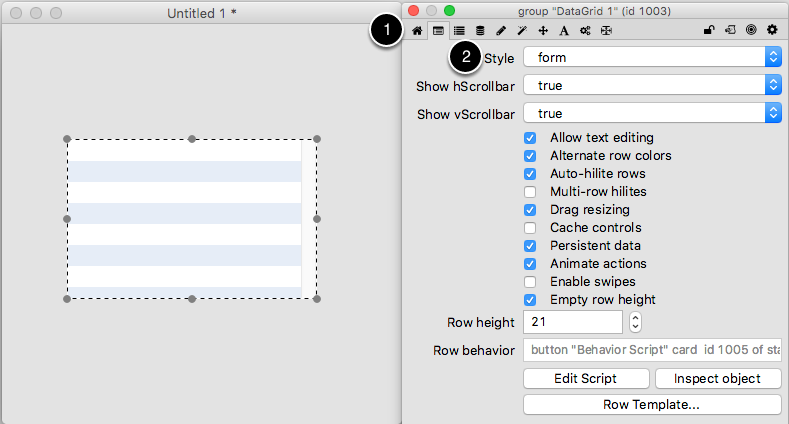 You should note that while you can assign line delimited text to a data grid form, the data grid really works with multi-dimensional arrays under the hood. By using arrays you can store and display all different kinds of data in a data grid. Being able to assign the uText property is merely a convenience. Prev: How Do I Create My First Data Grid Table?